Russian physician; born 1832; died at Odessa June, 1902. He settled in that city in 1869, and practised there for more than thirty years. In 1870 he became a member of the Medical Society of Odessa and a corresponding member of the Medical Society of Kherson. Chatzkin distinguished himself by several literary productions. In 1858 his letters on physiology appeared in the "Russki Vyestnik." 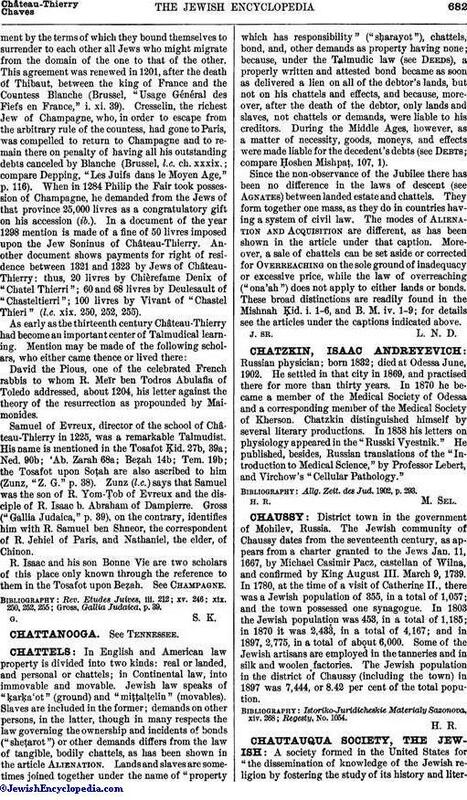 He published, besides, Russian translations of the "Introduction to Medical Science," by Professor Lebert, and Virchow's "Cellular Pathology." Allg. Zeit. des Jud. 1902, p. 293.